A branch of Pizza Hut in Bristol, England. 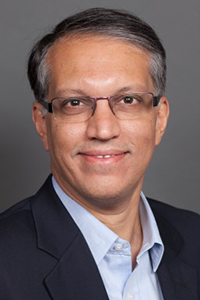 Vipul Chawla to lead brand strategy outside the U.S.
Vipul Chawla has been tapped to replace Milind Pant as president of Pizza Hut International, parent company Yum! Brands Inc. announced Thursday morning. Pant, who had held the role for three years, will leave in November to “pursue other opportunities outside the company,” Yum said. Chawla (left), currently Managing Director of Pizza Hut Asia-Pacific, will start Dec. 3., and will be responsible for driving Pizza Hut’s strategy and performance outside the U.S. He will report to Yum Brands CEO Greg Creed. General managers of Pizza Hut restaurants outside the U.S. will report to Chawla, who joined Yum in 2011 after spending 20 years with Unilever. He previously served as general manager of Pizza Hut Asia and CMO of KFC Asia. Pizza Hut’s international division reported a 2 percent drop in same-store sales for the last two quarters.